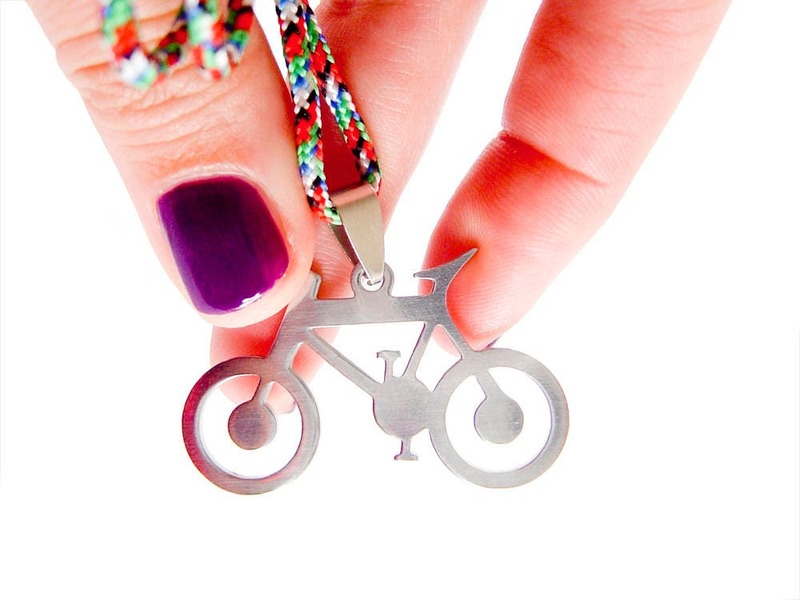 Give your man this bicycle jewellery and he will appreciate it. 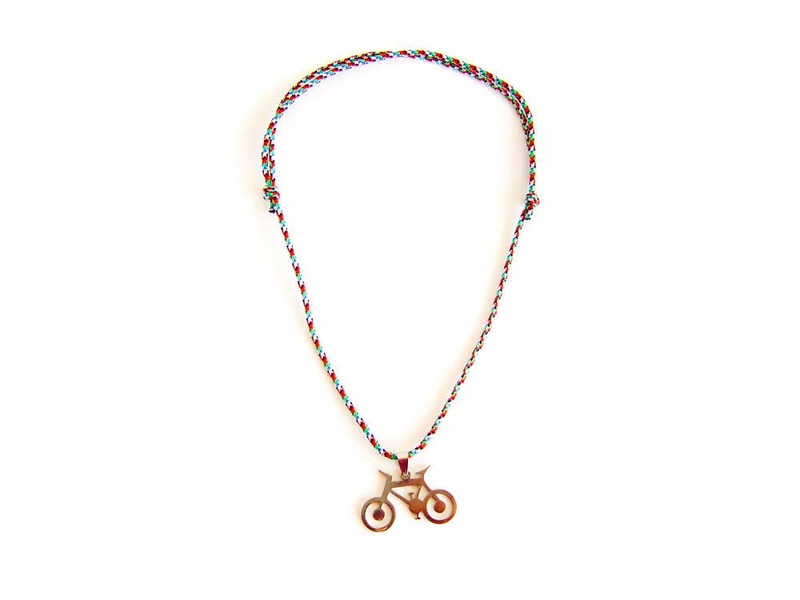 This bicycle necklace is a men necklace - stainless steel with a multi-colored rope. 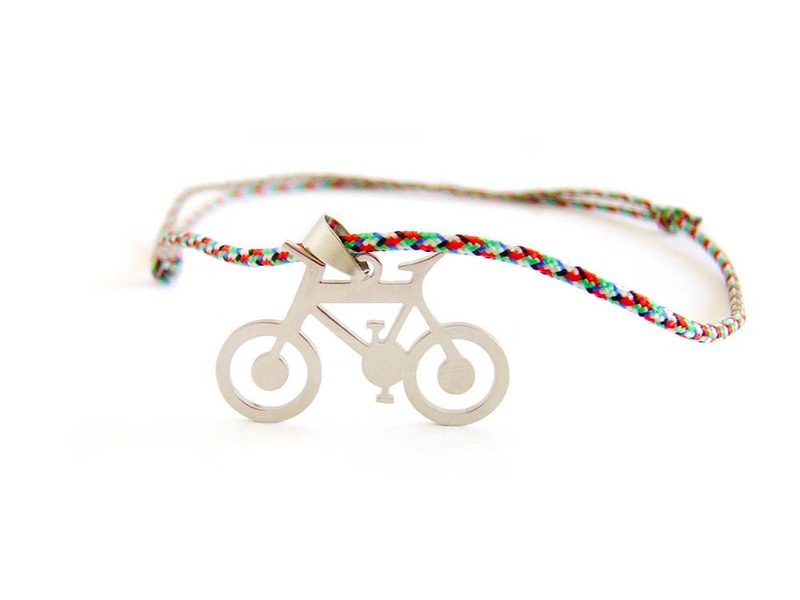 The downhill bike necklace will fit everyone. Its is adjustable one and one size fits all. You can slide the adjustment knots and in this way you will close or open the bicycle jewelry. We handmade it of a steel bicycle and a rope. The colors of rope are red, green, black, white and blue. * The rope is 0.3 cm (1/8") in diameter. * The circumference of our downhill bike necklace can be adjusted from 33 cm (13") to 67 cm (26 3/8"). * Thick 0.2 cm (1/16"). 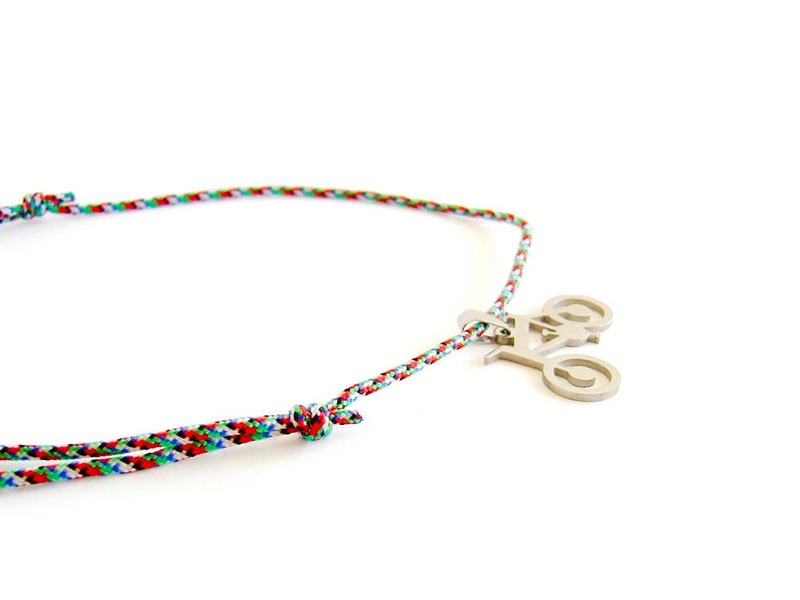 After adjusting the length you can use this men necklace (stainless steel neckless with rope) as a short one, or longer. Make your choice yourself! 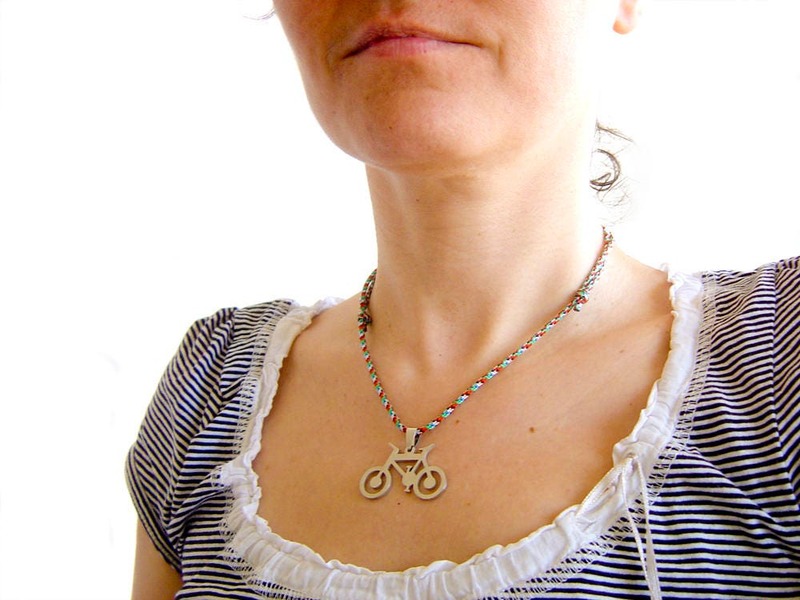 Our bicycle jewellery will be a nice gift - bicycle accessories for men or women. It is unisex one.